Windows 10 users with version 1809 and later will no longer be warned if they unplug their USB devices without alerting Windows first. This is because Microsoft has updated the default policy with regard to USB attached drives and Thunderbolt-enabled external drives to be 'Quick Removal' rather than 'Better Performance'. Better performance. This policy manages storage operations in a manner that improves system performance. When this policy is in effect, Windows can cache write operations to the external device. However, you must use the Safely Remove Hardware process to remove the external drive. The Safely Remove Hardware process protects the integrity of data on the device by making sure that all cached operations finish. Until the latest update to Windows 10 version 1809 the default policy was for 'Better Performance', from now on it will be 'Quick Removal'. 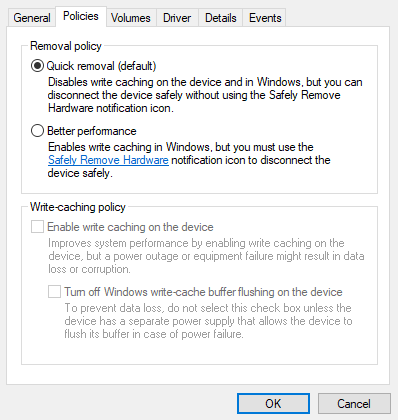 Furthermore, Microsoft recommends ticking the 'Enable write caching on the device' option when using 'Better Performance' mode. It is noted that "you can change the policy setting for each external device, and the policy that you set remains in effect if you disconnect the device and then connect it again to the same computer port". Are any readers running Windows 10 version 1809 and newer going to switch the default behaviour back to 'Better Performance' mode? Given how people use USB storage devices, it rather boggles the mind that this wasn't the default behaviour already. The default option should always be the “safe” option, so at least it is sorted now. I guess I'm going to show my age now and say I'll revert to the previous behaviour. I've always felt like I should unmount my detachable drives prior to removing them. I'm being honest here, i can't remember the last time I safely removed a USB thumb drive…and through not safely removing, i can't remember the last time it getting corrupted. USB HDDs though, always safe remove. 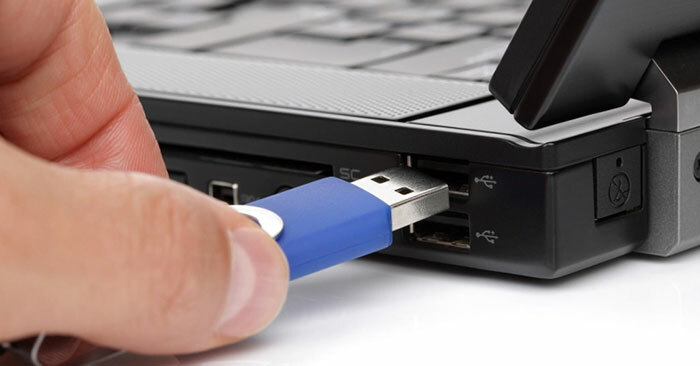 Given how fast electronics are compared with puny humans, perhaps the USB thumb drives could be modified to detect when the user is in the process of removing them, so that windows can flush the cache in the 100ms that it takes to physically remove the drive.